Cybersecurity insights and analysis from Aella Data VP Paul Jespersen and Fortinet Channel Marketing Guru Lief Koepsel. Ninety percent of spending on cybersecurity goes to blocking bad guys, which leaves just a scant 10 percent left to detect when they have found their mark. That’s a problem when you consider that the preferred method of many cyber thieves is to penetrate a defense and then lurk around before collecting data and compromising systems. Equifax, for example, was compromised months before its technologists realized they were hacked. New tools from the likes of Aella Data and others, however, could help remedy this terrible situation. Aella Data, for one, has developed a comprehensive “breach detection” solution that alerts organizations when they have been breached. As you might imagine, the entire subcategory of security software is expected to take off. In this podcast, we connect with Aella Data’s Paul Jespersen. He’s the company’s vice president of corporate and business development. Here, Jespersen talks about the company’s history (it only came out of stealth mode at the 2018 RSA conference) and its go-to-market strategy, which depends heavily on the channel. “The MSSP is an interesting animal to us,” says Jespersen. The reason is that MSSPs are both a consumer of the company’s technology, and a reseller of it as well. Since Aella Data introduced its flagship technology in April, the company has signed scores of partners in North America and Asia, in particular. Jespersen is so excited about the opportunity in breach detection that he came out of retirement to join Aella Data to help the company grow its business. 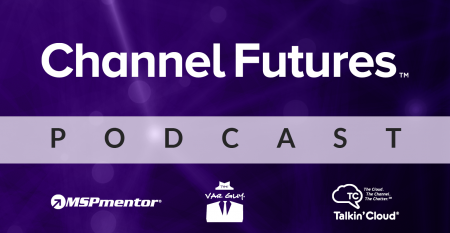 Also in this episode: an interview with Fortinet senior channel marketing director Lief Koepsel. In this interview with Achieve Unite CEO Theresa Caragol, Koepsel talks cybersecurity priorities and best practices. Job one for partners, he says, is to protect customers’ data. The key to that, he adds, is integrating all of your technology. This way you can mitigate any attack if and when it penetrates your network. “If siloed security applications are not in integrated into some sort of fabric or total platform, then the malware can jump from one attack to the other and cause problems,” says Koepsel. Other keys to protecting customers, he adds, are deploying a unified intelligence platform and developing a set of standard best practices that are followed again and again. One thing holding MSPs and other IT service providers and consulting back, Koepsel notes, is a lack of talent. Automation is now becoming paramount as a result. When you have standardized services and integrated technology, you run more efficiently and more effectively, he says.